Each sample pack contains 5 scales. Scales can measure vertical and lateral motion, and protrusion. 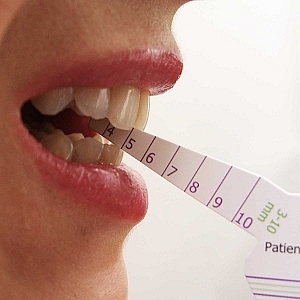 Scales measure from 3mm to 52mm vertically. 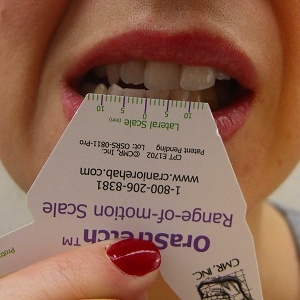 The OraStretch® Range-of-Motion (ROM) scales are disposable paper measuring scales, specifically designed to allow patients and providers to measure the opening, movement and function of the mouth and jaw. The Sample pack includes 5 scales. 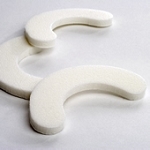 The OraStretch scales were specifi cally designed for patients with severely limited openings. The tapered ruler design allow for measurement of the smallest openings, from 3mm to 52mm. 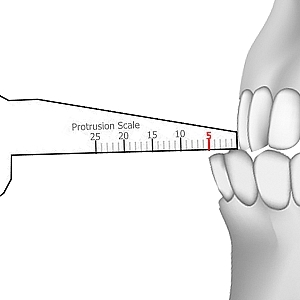 The OraStretch scales also include a lateral movement scale and a pro/retrusion scale. 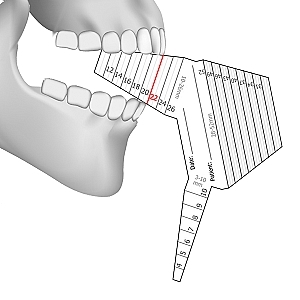 These allow the provider to better gauge the total 360-degree movement of the patients jaw.